* 9 top praise songs that will make viewers shout, dance, and praise. * Excellent resource for Worship Leaders, Sunday School Teachers, and Children's Ministry Leaders. It's time to get your PRAISE on with "Shout Praises! 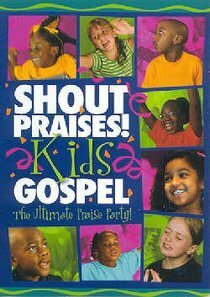 Kids Gospel - The Ultimate Praise Party." This high energy video blows the roof off with 9 top gospel songs, awesome grooves, and kickin' visuals (complete with lyrics) that will make children of all ages shout, dance, and praise.